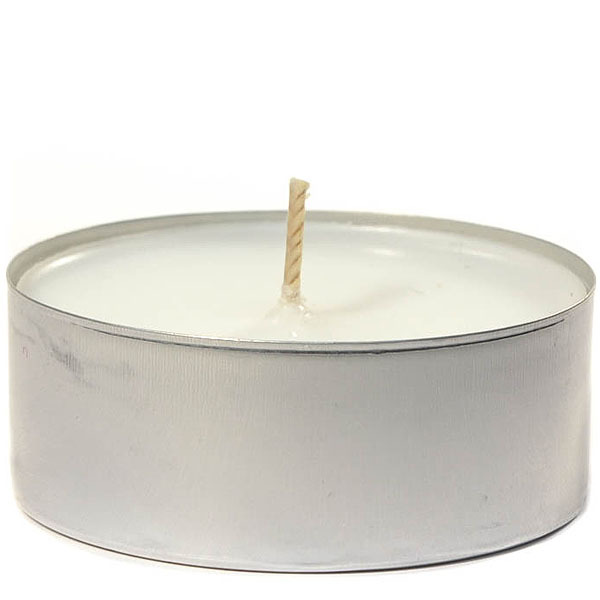 Long burning white unscented mega tea light candle in a tin cup that is great to use to create a romantic ambiance in your home or as an accent piece at your next event. These large tea lights will burn for approximately 10 to 12 hours giving you plenty of light for a long time. 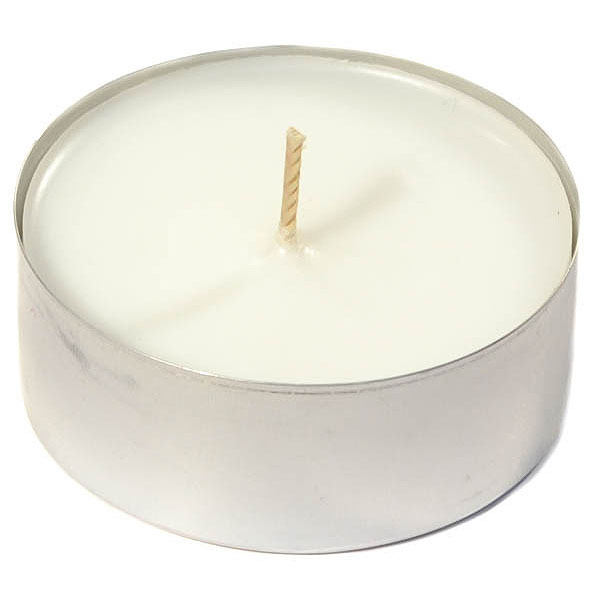 Keep the mega tea light on a heat resistant surface because the bottom may get hot as the wax is used up. Made of: blend of paraffin.